The shortcode methods that mentioned here has been deprecated, only FMS Views Builder add-on method currently supported. end then this section is for you. Using FMS Views Builder Add-on. should have only one view. displayed and change the field order and put a new label for the field. Add a wrapper class to styles the custom fields as you want. 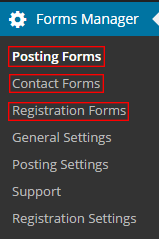 You can disable the default style. You can put a label for the custom fields section. 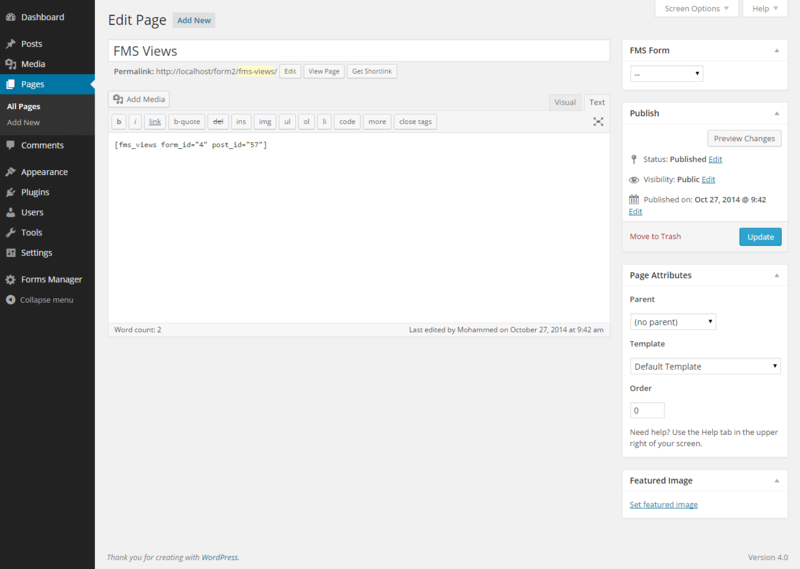 Note: The FMS Views Builder add-on only display the FMS’s custom fields. form_id="4" post_id="57"] then click on Publish. created by the form that have the id equals to 4.
and let the FMS handles that for you. To specify the field tag. To specify the id of the field. To specify the class of the field. FMS handles everything instead of us. custom fields below the post and above the comment form. [fms_views_wrap]...[/fms_views_wrap] shortcode to do that.